Sony's Director of Hardware Marketing, John Koller, believes that the iPad launch will be a boon for the PSP. Sony's top dog of hardware marketing, John Koller, doesn't view Apple's new tablet as a threat, on the contrary, he's rather pleased with the iPad, as he believes that it will be nothing but beneficial to Sony. "Apple's entrance into the portable gaming space has been a net positive for Sony," said Koller, speaking to the Wall Street Journal. 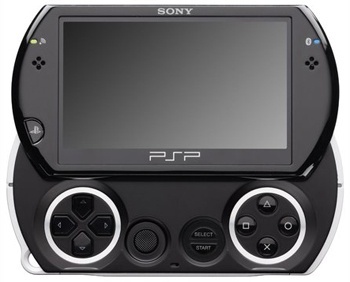 "When people want a deeper, richer console, they start playing on a PSP." According to Sony's official figures, sales of the have grown year on year since the release of the iPhone in 2007, with nearly 42 million units sold worldwide. Sony still trails behind Nintendo by tens of millions of units however, suggesting that when people want a 'deeper, richer, console', they actually buy a DS.